Wireless, broadband, and fixed line market data for over 225 countries. 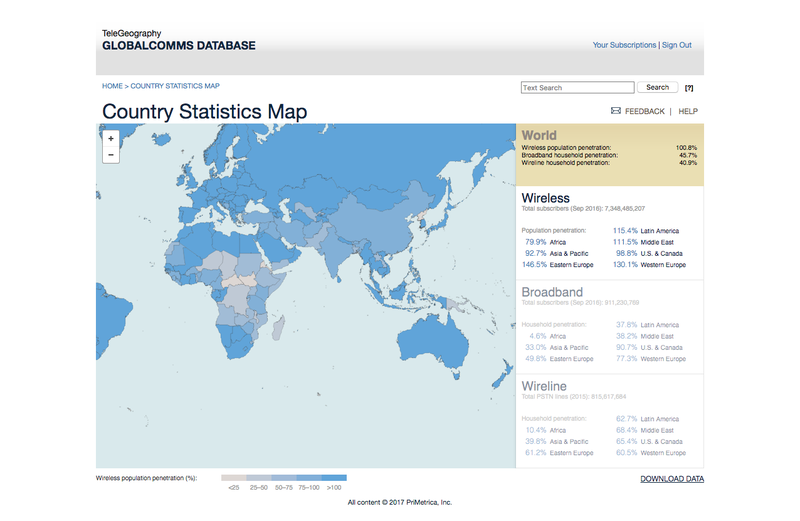 Country and company profiles detailing telecom markets in over 225 countries. Subscriber metrics for more than 1,000 mobile service providers, 600 broadband ISPs, and 500 fixed line operators. The telecoms industry’s fastest-growing collection of MVNO data, covering more than 90 countries and 1,000 virtual operators. Cumulatively more than 56,000MHz of spectrum, tracked across 16 different frequency bands. This product can do a lot. And we don't have the space to list everything it does here. 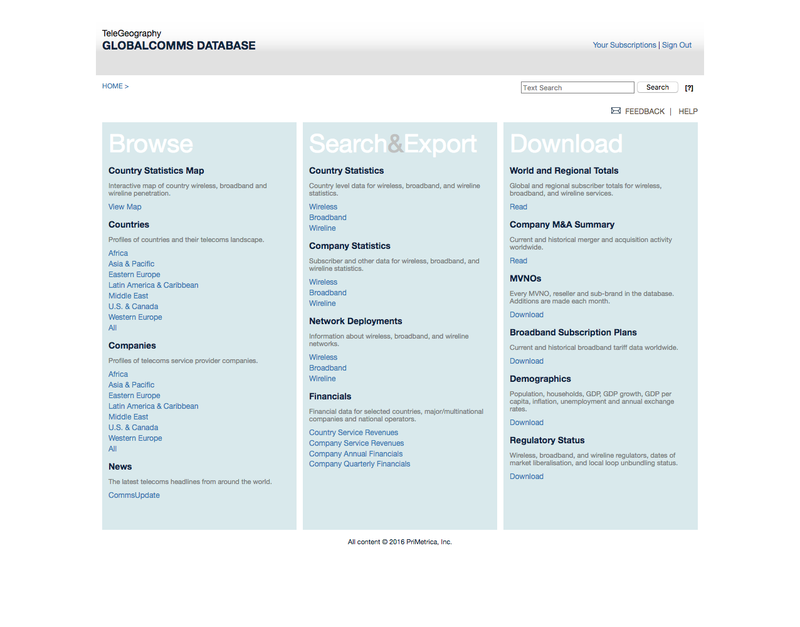 Explore the data and analysis in the GlobalComms Database Service. TeleGeography has been a trustworthy partner to DE-CIX for years. They are an absolute first mover in recognizing and documenting telecommunication infrastructure and business trends around the globe. TeleGeography is a major data and knowledge source for both the regional and global telecommunications economy.